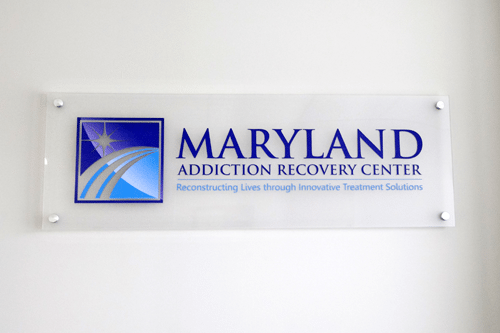 Who is Maryland Addiction Recovery Center? In a time when our country is facing a national addiction pandemic and millions of individuals, families and communities are being impacted, we here at Maryland Addiction Recovery Center think it is vitally important to share who we are, what programs we offer and what we have found to be the most effective treatment options and strategies in combating addiction. First, it is extremely important that we identify what addiction is as an illness. First and foremost, addiction is a chronic, progressive disease that will ultimately result in loneliness, unhappiness, disconnection and death if left untreated. There have been numerous articles recently discussing how in fact addiction is not a disease. This is characteristically untrue. Calling addiction anything else but a disease is false, although it is important to remember that classifying addiction as a disease does not in any possible way absolve the person suffering from substance use disorder of their responsibility of their actions or give them a free pass towards the behaviors they exhibit. Classifying addiction as a disease (and the ton of scientific research that back up this statement) also does not absolve the person suffering from taking ownership and responsibility of their recovery. Additionally, addiction is also a family disease, one that impacts not just the suffering individual but also the entire family unit. Therefore, as a chronic, progressive illness we have found that the most effective treatment for addiction is a long-term continuum of care model that addresses both the individual suffering from addiction as well as treating the entire family system. Treatment for addiction must be long-term, evidence-based and using approaches and treatment modalities that address the entire person, not simply just the substance use. Treatment is most effective when focusing on underlying causes and conditions, attitudes, behaviors, ways in which the individual views themselves, the world and their place in it, mental health issues, trauma, life skills and social and vocational needs. This all must be done through a long-term continuum of care, because many of these issues do not even begin to present themselves until the second or even third month of recovery. It is also important to remember that evidence dictates that 90 days at minimum is best for a person to be engaged in treatment in order to achieve the best chance at lasting recovery and that many mental health or dual diagnosis issues cannot be correctly diagnosed until an individual is 90 days free of substances. So who is Maryland Addiction Recovery Center and what do we have to offer? Primarily we are an extended care residential program. We are either the next crucial step for a patient after a primary treatment stay that typically lasts between three to four weeks. We also can fill the role of initial treatment after detox, for patients that have been to multiple residential or inpatient treatment centers but have never gone to or followed through with comprehensive aftercare plans, have the necessary knowledge and experience of a 28 day treatment stay but are in need of more comprehensive life skills and an “in real life” treatment experience. Our long-term continuum allows patients to be in treatment while also having enough freedom to put into practice the necessary skills they are learning in treatment. Additionally, our approach allows patients to stumble, fall, and make mistakes in early recovery but in a safe clinical setting where those issues can be properly and appropriately addressed. Based on clinical progress, every patient enters into a vocational program where MARC works with them to enroll or re-enroll in higher education or re-enter the workforce. MARC staff work with patients to identify goals, work on application preparedness, resume building, mock interviewing, job search and budgeting in order to be prepared with the necessary skills to go back to school or work while still in treatment. Our extended care program consists of weekly (or more as needed) individual therapy sessions with a Master’s Level therapist, group therapy, weekly (or as needed) family therapy sessions through the entire treatment process, psychiatrist sessions and neurofeedback and holistic groups that include yoga and group personal fitness. As mentioned before, a key component of our philosophy is not just treating the identified patient but also treating the family unit as a whole. After all, addiction is a family disease and therefore the entire family needs help in order to recover. We also offer an intensive outpatient (IOP) program that offers the same comprehensive services as the extended care residential program. Process group therapy sessions, weekly individual sessions, psychiatrist sessions and family involvement throughout the entire treatment process are components of MARC’s IOP program. For those individuals that have a safe living environment or that are living in a recovery house, MARC also offers a similar day treatment program Monday through Friday that lasts the entire day. These different outpatient programs are often the best fit for someone struggling with substance use disorder or dual diagnosis issues while seeing an individual therapist and in need of a higher level of care or someone discharging from a residential treatment program that needs to go home due to children or a career or other specific life circumstances. Here at Maryland Addiction Recovery Center, we believe that treatment must address all the therapeutic, medical, family and social issues of a patient and treatment truly must be individualized to meet a patient’s needs based on clinical necessity, family structure, schedule and all the underlying core issues that drive addiction. Substance misuse is simply a symptom of addiction and until those underlying issues are addressed, it will be extremely difficult for treatment to be effective. It is important to remember two things about addiction: First, those entering treatment are not in a contemplative or preventive stage of addiction. They are not in Stage 1 or Stage 2 of addiction, if we think of addiction in relation to other diseases. They are in Stage 4 and at a high level of need. Second, for years the poor “recovery outcomes” and “success rates” of addiction treatment have been well-known and documented. However, addiction (as related to being Stage 4) has a similar outcome rate to other diseases such as cancer and heart disease…and of cancer, heart disease and addiction, we must remember this: Addiction is the most treatable.